In the UK has many interesting places where tourists can enjoy this great country, but glory is best seen in English castles and palaces. Everywhere in the country there is a lot of history of past events. For centuries, the powerful countries build castles and fortresses - a symbol of the greatness of a nation's military success and prosperity. For example, in England there are about 50 more important castles and strongholds, which are very well preserved and well worth a visit from the curious tourist. English castles as well as French castles are well fortified and ready to repel any enemy attack. They show past events in the history of this great country in the past ruled half the world. Here are the ten most interesting English castles. 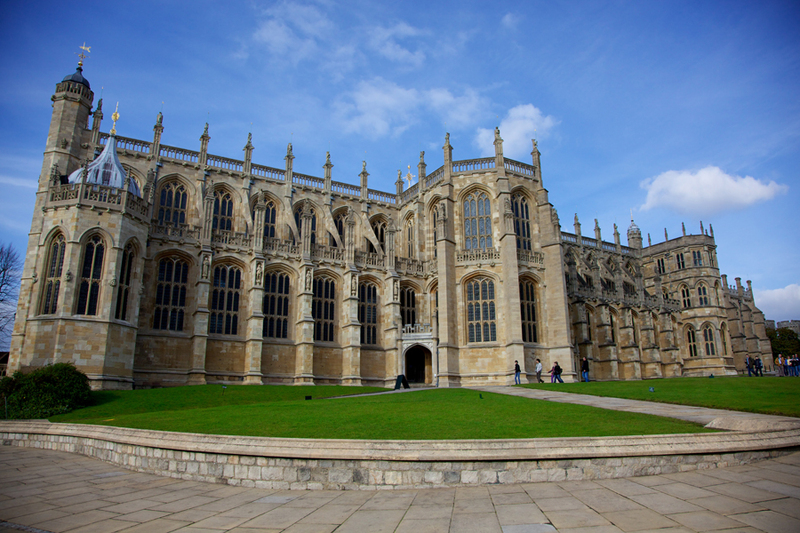 Windsor Castle - a symbol of the British crown, built by William the Conqueror in the county of Berkshire in the 11th century. As Windsor Castle is the summer residence of Queen Elizabeth II is considered that this is the largest and oldest inhabited English castles. It is located 35 km. from London and passes along the famous River Thames. 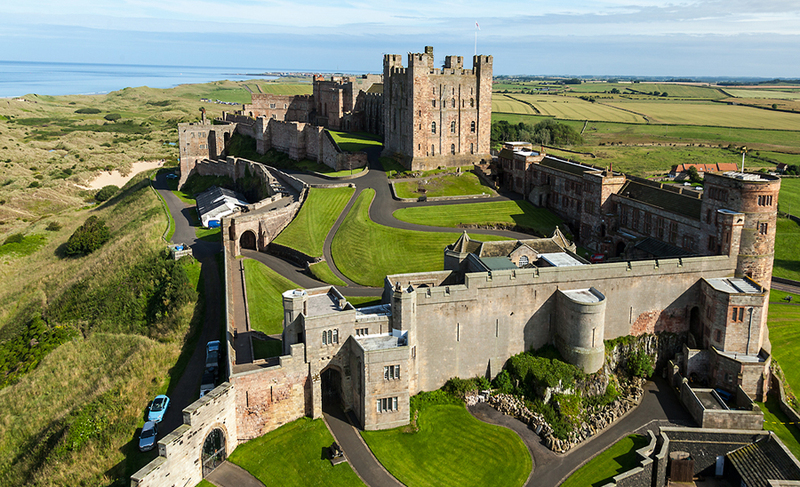 Bamburgh Castle - located on the shores of the North Sea, Northumberland area. Many old castle from 5-6 century, built because of frequent attacks of shotlantsite the time. 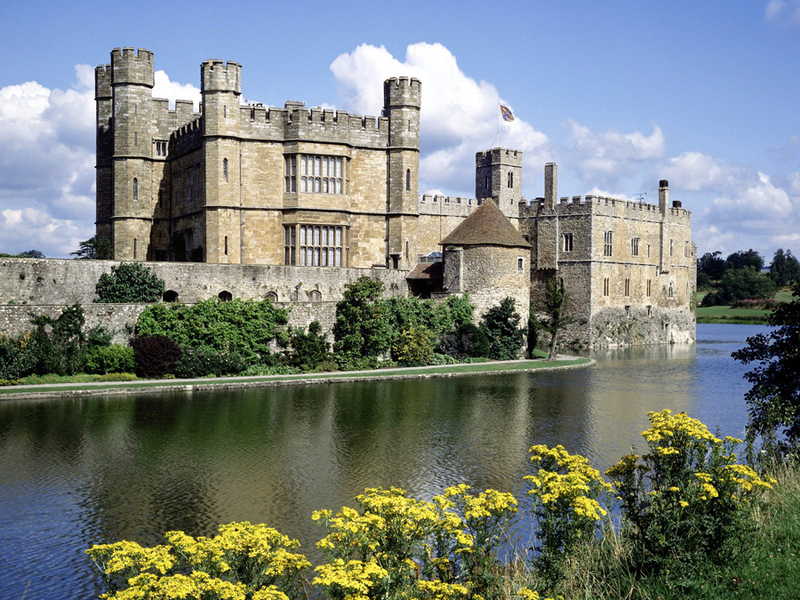 Leeds Castle or better known among English "Ladies Castle". This is due to the fact that six queens lived here in the Middle Ages behind the large stone walls. Located in Kent, according to other written evidence here was built around the middle of the year 800. Described by the magazine Travel Channel as the most picturesque ancient castle on earth. Castle Bodine - a picturesque quadrangular fortress in southern England (Sussex County). Construction in 1385 was necessary because of the frequent incursions of French troops in the region. 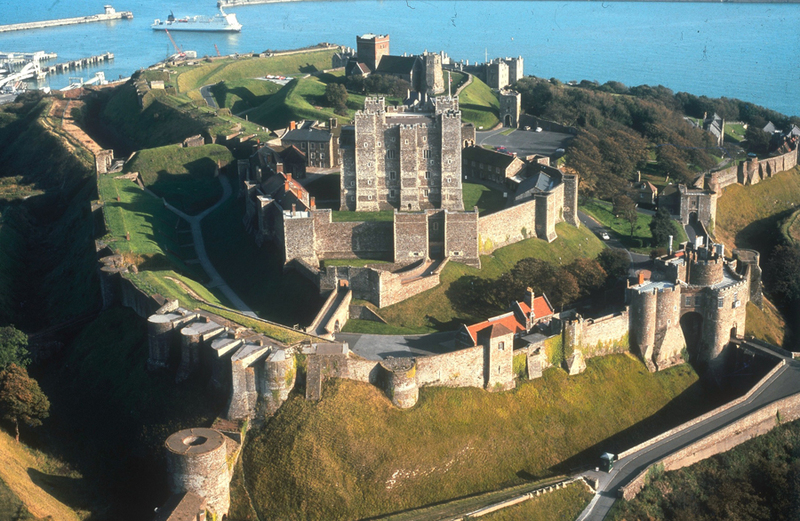 Dover Castle - one of the the key castles in medieval England because of its location. The castle is located on the narrowest part of the Canal Dover, which is the narrowest part of the English Channel connecting France and England. At present Dover castle is fully converted into a museum. 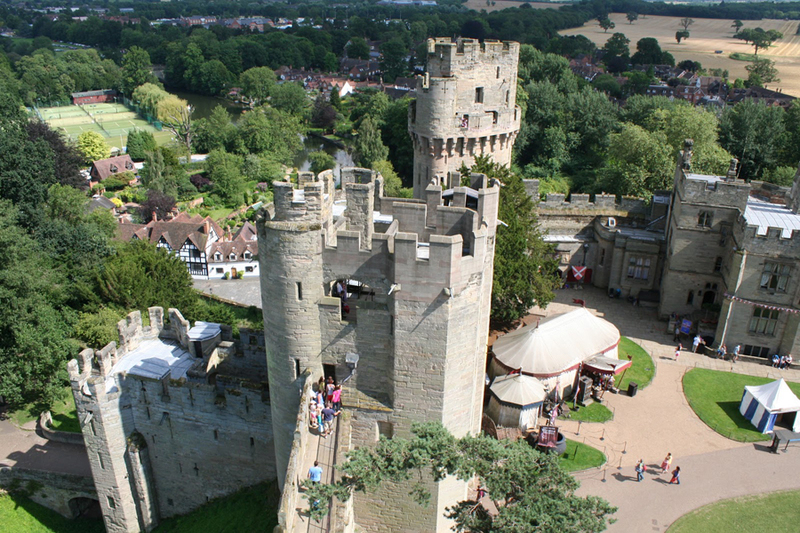 Warwick Castle - very popular English castles and the second most visited by tourists after Windsor Castle. Located in Yorkshire bend of the River Avon. Until the 17th century it was used as a fortress and prison, then became private property. Today the exhibition part of the castle is valuable paintings by Van Dyck and Rubens, both armor and weapons from the Middle Ages. 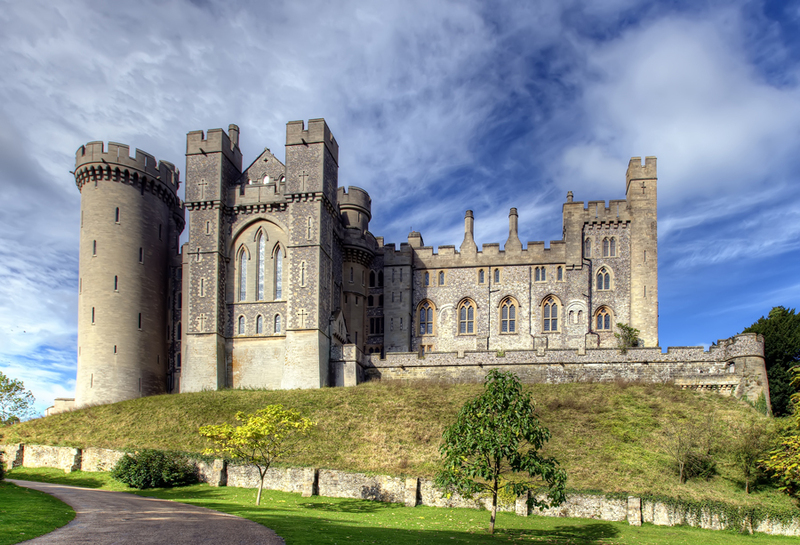 Arundel Castle - is located about 70 kilometers from London and is almost 1000 years. From the towers of the castle is a breathtaking view of the River Arun. Over the years, this British fort was occupied by Henry I, Henry II and Richard the Lionheart. Arundel Castle is often used for images of Hollywood productions. 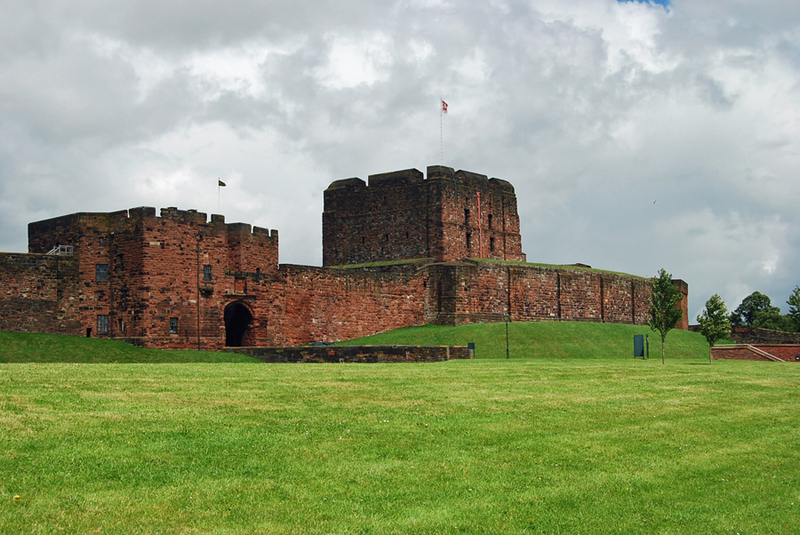 Carlisle Castle - built by William II, son of William Zavoevarelya in 1066. 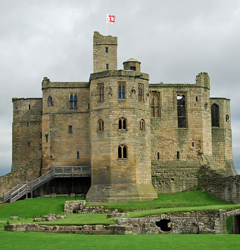 Located on the border between Scotland and England and has been the focus of many invasions. It has been sharpened and Mary Queen of Scots in 1568. 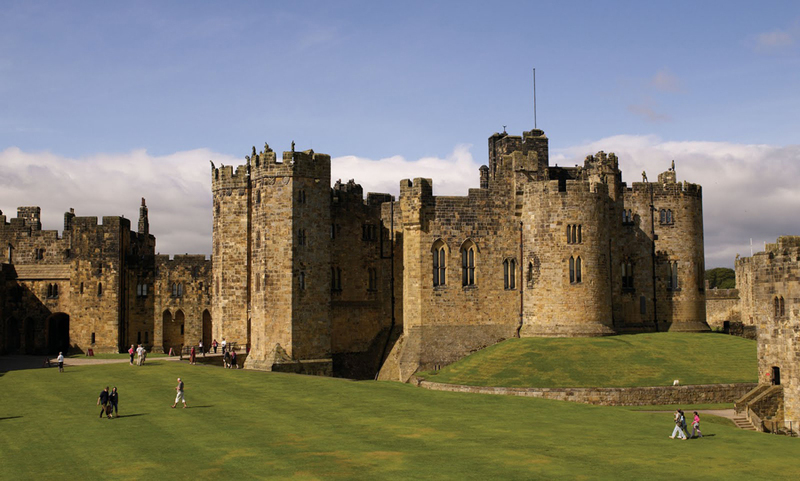 Alnwick Castle - very beautiful castle in England, in the county of Northumberland. 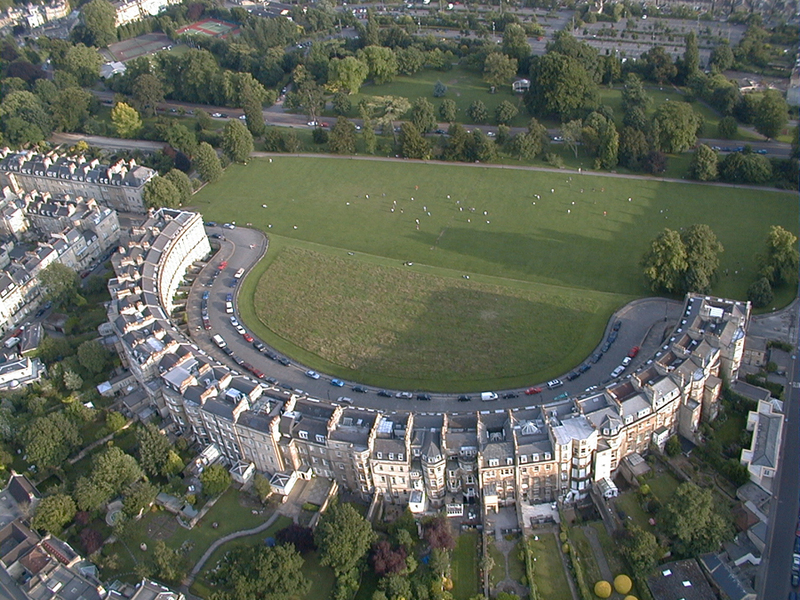 The location of the two main buildings in the form of a ring in the middle with a small yard.